Master athletes are more than 35 years of age and continue to train as hard as their young counterparts despite the aging process. All life long, they are capable of accomplishing exceptional sporting performances. For these participants in endurance events, matching energy intake and expenditure is critical to maintain health and performance. The proportions of carbohydrate, fat, and protein must be optimized to provide enough calories to sustain the energy requirements of competition or training, and for recovery. In addition, endurance athletes must include adequate vitamins and minerals in their diets to maintain healthy immune function. 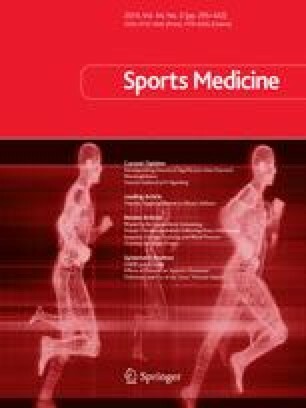 Vitamins and minerals may be sufficient in the diets of endurance athletes, who have a high energy intake. This would make it unnecessary to use vitamin and mineral supplements. Furthermore, one major limitation for these athletes is the management of oxidative stress, which, when in excess, can be deleterious for the organism. For individuals exposed to oxidative stress, micronutritional supplementations rich in vitamins and minerals can be also an alternative strategy. Although these supplementations are increasingly used by master athletes, very few data are available on their effects on oxidative stress, muscle recovery, and physical performance. The potential benefits of supplement use in athletes are thus questionable. Some studies indicate no benefits, while others highlight potential negative side effects of vitamin supplementation. Additional studies are warranted in order to design adapted prescriptions in antioxidant vitamins and minerals. The authors declare no conflicts of interest or funding that are directly relevant to the content of this review.